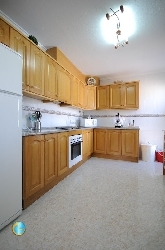 A lovely detached 3 bedroom villa, set on 2 levels, with a spacious roof terrace; occupying a corner plot on arguably one of the best positions on the Camposol Golf. Casa Ellen has a master ensuite, upper level, with patio doors leading out to a private roof terrace, with superb views across the mountains. 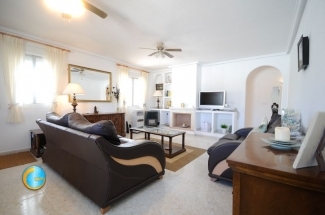 Casa Ellen is superbly located on Golf C Sector, close to the golf club house with occasional evening entertainment, superb menu del dias, and of course the great golf. 18 hole golf course and driving range, with golf club house bar and restaurant - within 10 mins walk. Murcia and Alicante airport (45 mins and 1 hour 15 mins) serviced by low cost airlines (transfers can be arranged, although we consider a car is essential for this holiday). 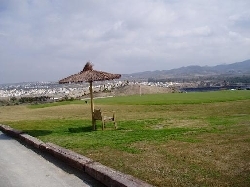 Camposol Golf lies on the Costa Calida, with many fine beaches. 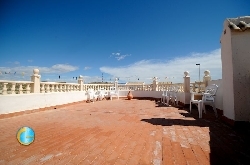 It has many surrounding typical Spanish villages and towns. You can catch the train from the picturesque town of Totana, into Murcia, which takes 20 minutes.